This week we held our first Careers Week at Ryburn. As part of this, we were delighted to welcome professionals from a variety of careers into school to speak to students about their jobs, and the route that they took to get there. We learned that there's a huge variety of fulfilling careers out there, suiting all kinds of skills and interests, and that from university to apprenticeships, to working your way up, there are so many ways to get there. We hope students found it interesting and inspiring to learn first hand about real jobs. 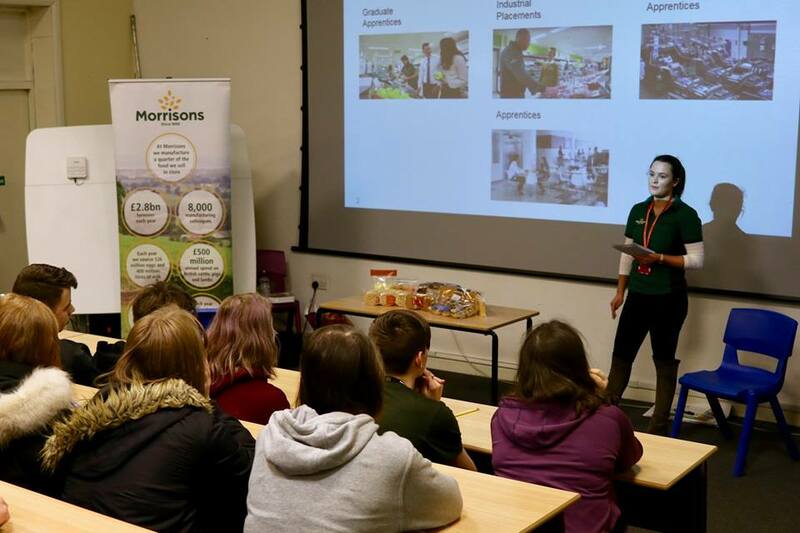 With a huge thank you to everyone who took part in our Careers Week, including representatives from West Yorkshire Fire and Rescue Service, Thomson Reuters, Calderdale Missing Persons, the Army and Morrisons. It was a great week, and we are really looking forward to running further careers weeks each term this year with opportunities to meet an even wider range of role models. Older PostLet's raise some dough!